When I look back on the month, two things come to mind: Love and the stomach flu. Which, incidentally, could totally be a band name. Love, mostly because Valentine’s Day was this month. You know, as it happens every February. But also because I spent a good part of the month being a little more introspective than usual, and that reminded me to slow down a bit and focus on those that I love – and bask in it a little more. It’s funny – as horrible as the bug that hit our house in early February was, it was kind of a blessing. Luckily, the same virus hardly fazed my guy and my toddler. But I spent the better part of a week feeling lousy (and then there were those 12 hours that were lousy x 1000, but we won’t go there). I had virtually no appetite (not the best thing ever for a food blogger) and little to no energy. Which forced me to sit a lot, which is something I don’t generally allow myself to do. I held my daughter for a couple of her naps. It was heaven. While my husband watched a movie with her (Cars, of course) in the other room, I brewed up a bit of tea, lit a candle, covered up with a fuzzy blankie on the comfy sofa, and read a couple of books I’d been meaning to get to. I realized that it was time to calibrate my life a bit; a reminder to slow down and savor these years while my daughter is a toddler. It’s so easy to be addicted to busyness. I guess I just need reminders every few months. I’d rather not catch the stomach flu in order to force a reset, but I guess whatever works. 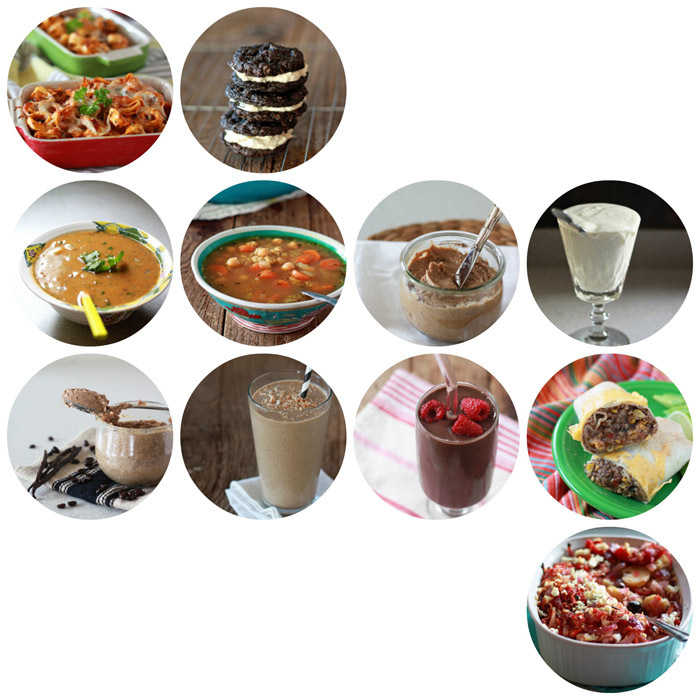 Thanks to the stomach bug, my recipes this month were a bit scattered. Favorites include this Chickpea & Rice Soup (the only thing I could bring myself to eat for awhile there, and I’m still craving it every day), Vanilla Espresso Almond Butter (best snack ever), and the fact that I MADE MY OWN YOGURT! So cool. Except now I need to use it up! 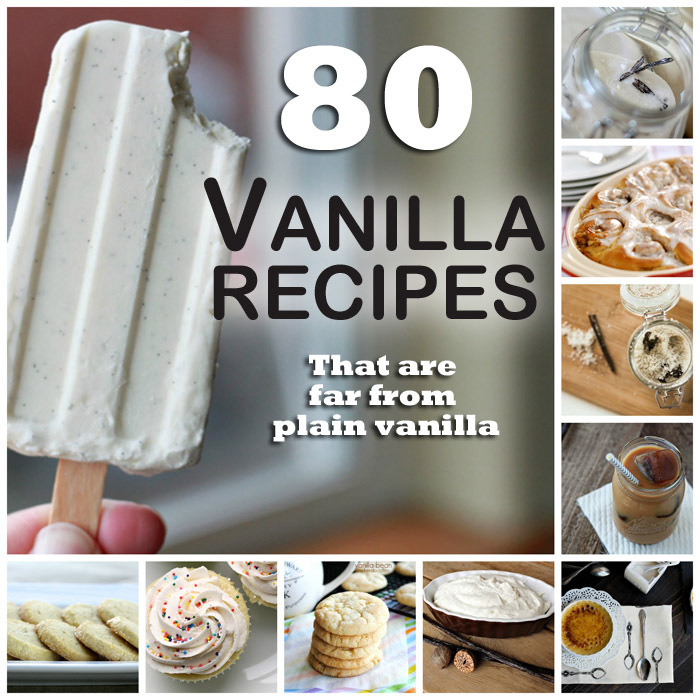 80 Vanilla Recipes. Because vanilla rocks! A Guide to Vegetarian Food & Wine Pairing on Oh My Veggies. Because vegetarians love wine too, dangit! This book. Perfect for frazzled moms that could use a little perspective. This blood orange beer pound cake made with wheat beer from The Beeroness. Gorgeous! A couple of spring-like days reminded me that iced coffee season is just around the corner! Happiness. Sometimes you can have a song in your collection for years and then, just like that, it hits you over the head with its awesomeness. For me this month that song was The Dreaming Moon by The Magnetic Fields. So … lush and moody. Mostly moody, but a good moody. This is the veggie garden I would like please and thank you. Meyer lemon pudding cakes from Annie’s Eats. I … no words. BAKED FALAFELS! Maybe this time they won’t fall apart on me. From How Sweet Eats.